This week sees the start of our High Summer timetable - with lots of trains to ride and lots of things to do, you'll be able to make the most of the long summer days. Check out our events pages for details of our summer evening excursions - and our timetables are also online to help you plan your day. Come along and enjoy a great time in Snowdonia - we'd love to see you here! Make the most of your time in Snowdonia with our Chippy Trains. 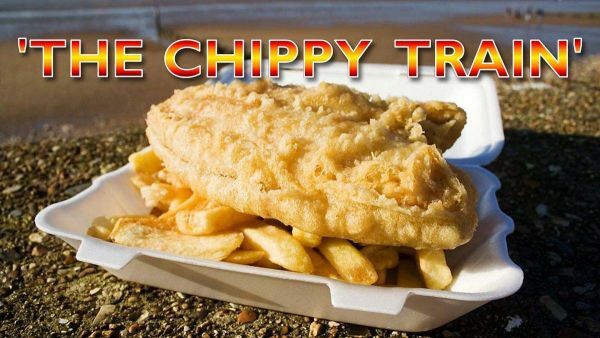 Departing Porthmadog each Tuesday & Thursday evening at 18:05, Come on board and relax as our Chippy train takes you on an evening’s excursion through the spectacular scenery of Snowdonia National Park, as we travel to the mining town of Blaenau Ffestiniog. Upon arrival in Blaenau Ffestiniog. On board buffet stewards will serve your pre ordered menu choices directly to your table. Our evening excursion returns to Porthmadog at 20:50. This Summer were bringing a taste of Italy to the Snowdonia National Park. With our Italian Food on the Move evenings. 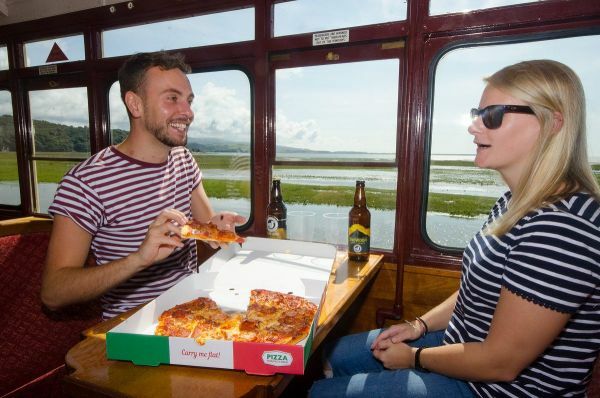 The Italian Food on the Move train departs Porthmadog every Wednesday evening at 18:05. 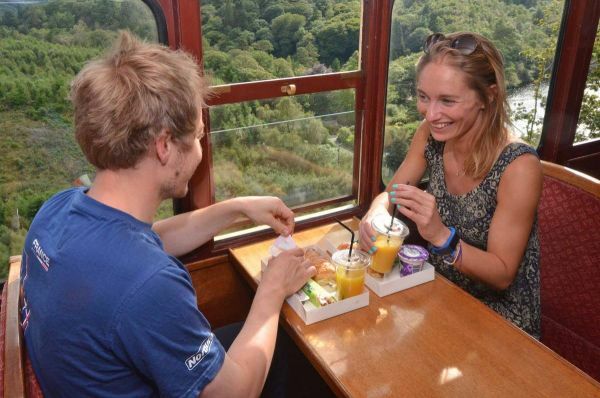 Where the On board stewards will serve your pre booked menu choices directly to your table, as we travel on an evenings excursion through the spectacular scenery of the Snowdonia National Park to the mining town of Blaenau Ffestiniog. Returning to Porthmadog at 20:50. An On-train buffet service is available throughout the evenings excursion serving Hot/Cold and alcoholic beverages. Join us on Sunday Mornings in August at Dinas for 10:30 where you will be met by your day’s hosts for an informative excursion to Rhyd Ddu (stopping at Tryfan Junction) during which you can immerse yourself in the history of the Welsh Highland Railway. Travel in style on board three heritage carriages, hauled by Ffestiniog Number 2 'Prince'. Along the way your guides will highlight some of the former stations and other railway buildings, which are mostly un-noticed from passing trains. But on this occasion, there will be time to stop and see from the carriage window. More information here, or book online here. 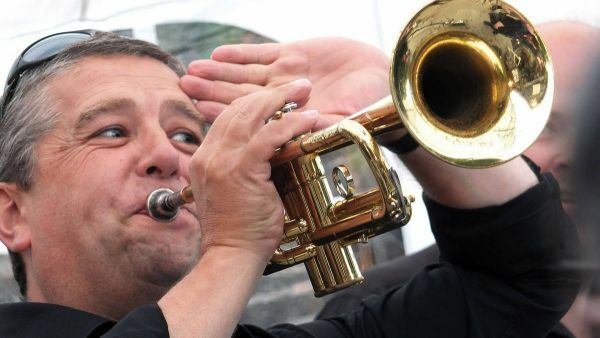 Make the most of the long summer evenings and enjoy the mellow sounds of Jazz at Tan-y-Bwlch. We are delighted to introduce our 2018 season of Jazz party trains to Tan y Bwlch featuring the ever popular Dr Jazz. These trains will run on August 2nd, 9th and 16th., and depart from Porthmadog Harbour Station at 19.15, returning at approximately 22.45. There is plenty of indoor and outdoor seating and always the opportunity for a dance, hopefully out in the open air. An 'all you can eat' barbeque adds to the summer evening atmosphere or for something a little lighter, there is a savoury cheese platter, ideal for sharing. Sweets, hot & cold beverages and a licensed bar are also available. 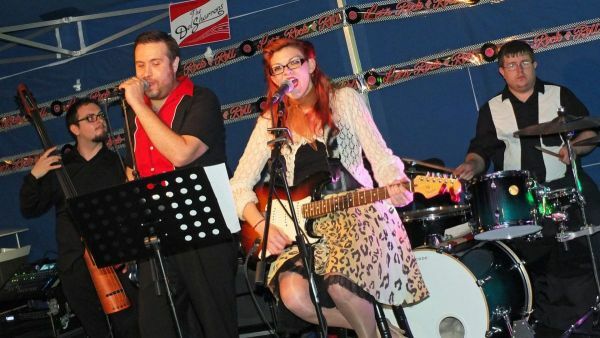 Put your Sneakers on and get ready to rock and roll as we welcome five-piece band The Del Sharrons to Tan y Bwlch for an evening of Rock n roll, Rockabilly and all things jive. Our evening starts in Porthmadog on board our special 19:15 departure to Tan y Bwlch. Grab a drink from the on train stewards as we travel to Tan y Bwlch station where the train will be welcomed to the sounds of the sixties. Grab a table, grab a drink from our fully licenced café bar. Before heading over to the ‘All you can eat’ BBQ. Or for something lighter a Savoury Cheese Platter is also available to share. Before heading to the dance area for a dance or two. The Early bird catches the Train! - Make the most of your Summer day by joining us on board our early bird specials. Departing every Tuesday, Wednesday and Thursday morning join us for our 08:40 departure along the Vale of Ffestiniog to the historic mining town of Blaenau Ffestiniog, arriving at 09:50. Explore the town or head up to Llechwedd. Otherwise return back on our 10:10 departure back to Porthmadog, giving you a full afternoon to explore the beauty of Snowdonia. No time for breakfast? - Why not pre book a £5 continental breakfast comprising of a croissant with Butter and Jam Portions, Llaeth y Llan yoghurt, orange juice and a muesli bar. Tickets are available for purchase now by clicking here. 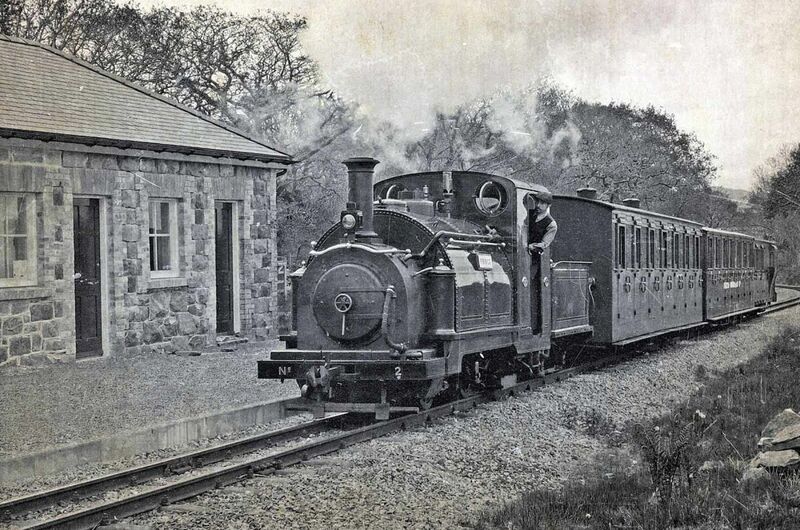 Why not head over to our Festail Blog, where Tony Russell has sampled the Ffestiniog Railway’s early bird service.